Fall has arrived and the annual debate has begun - are you Team Apple or Team Pumpkin. I personally enjoy both but if I had to choose I would go with Apple. Apples are so versatile for both sweet and savory dishes, and you have access to fresh apples for a longer time-frame than you do pumpkin. No matter which side of the aisle you sit on, I think we all can agree that there is something special about both of these fall flavors. Now while I am for both Apple and Pumpkin, this week is all about Apples! In fact, this week I'm celebrating #AppleWeek with other food bloggers. 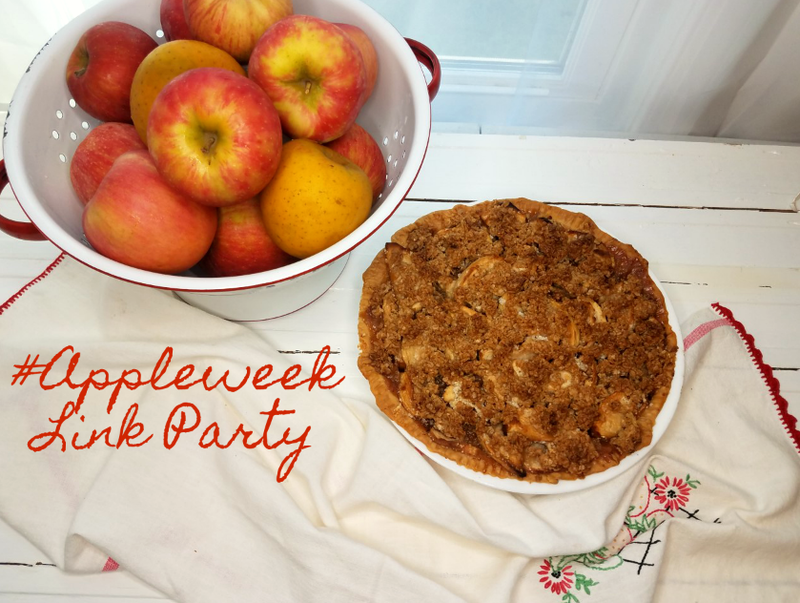 So to get the week started, I've partnered with my Celebrate 365 co-hosts (Carlee from Cooking with Carlee, Jan from Tip Garden, and Nicole from Tales of a Kansas Farm Mom) to throw an All Things Apple Blog Party. Bloggers are encouraged to link-up their favorite apple recipes, crafts and ideas here in this week long blog party. What is your favorite Apple dish? Be sure to link up your favorites below and remember to Comment for a Cause! I have never made a mug cake. This sounds like a great idea especially now that I so often cook only for 2. I have pinned tons too! So many great ideas! Wow! That's a great round up! Yes! I'm loving this All Things Apple Party!